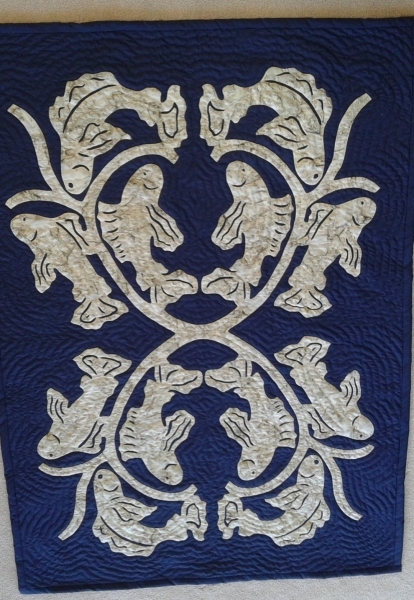 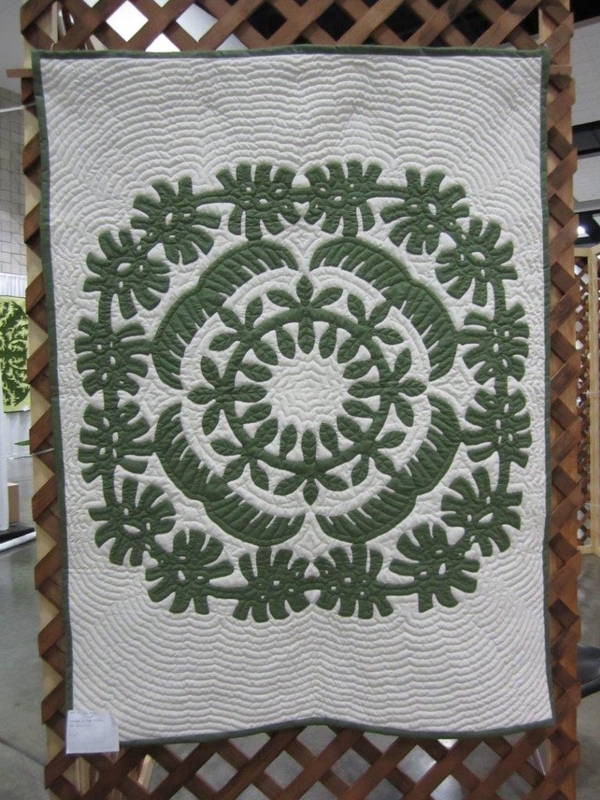 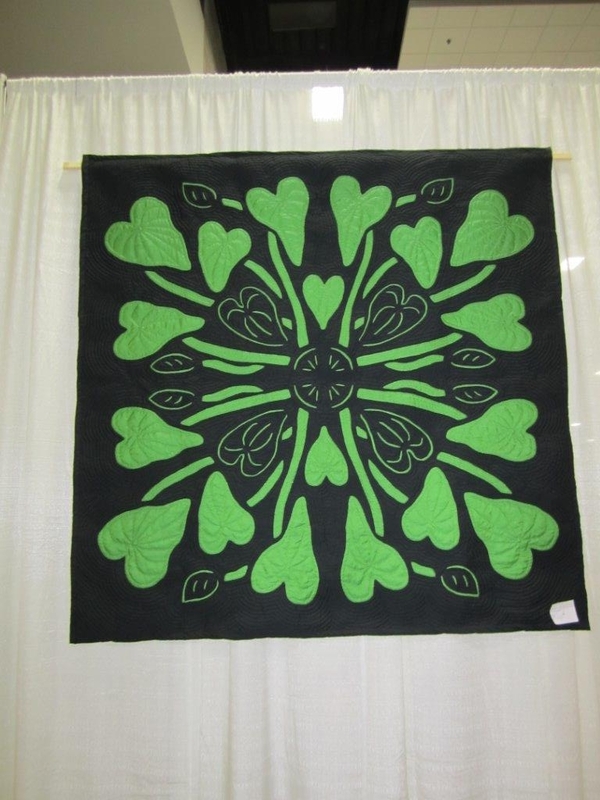 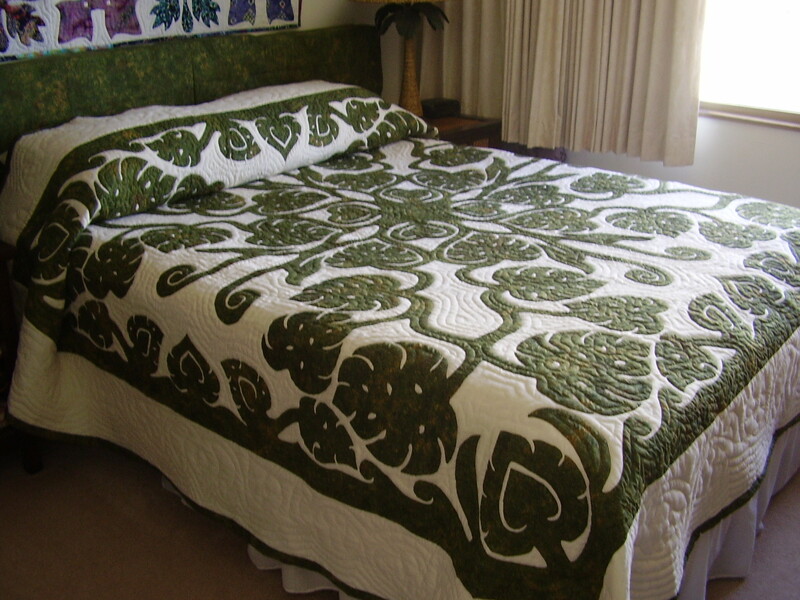 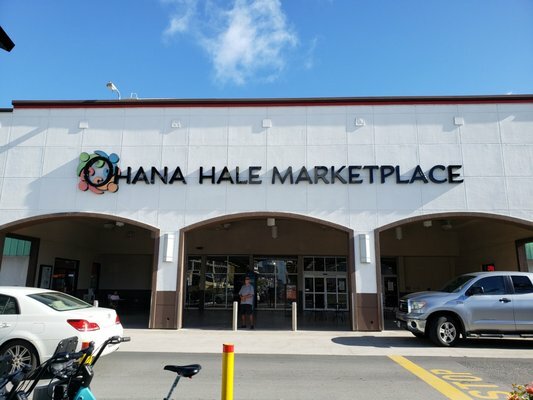 Honoring Tutu Correa - Hawaiian Quilting With Poakalani & Co.
Vintage Kukui Nut Design. 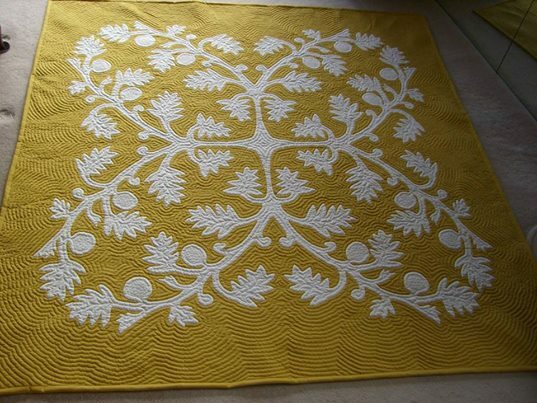 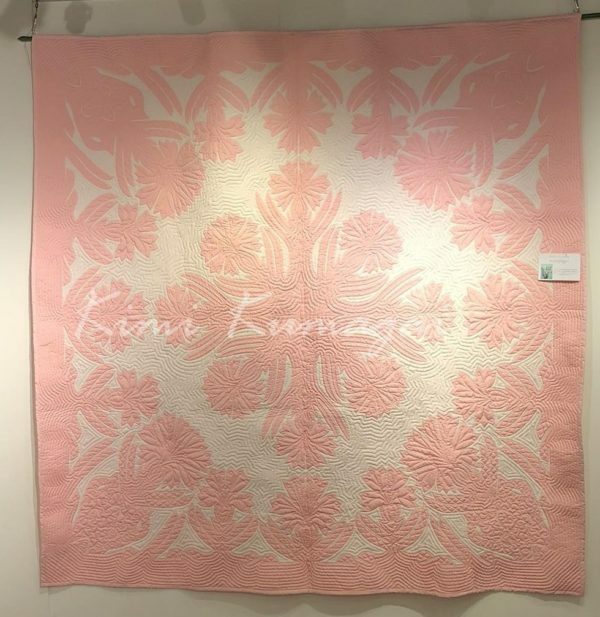 Quilted by Tomoko Kato. 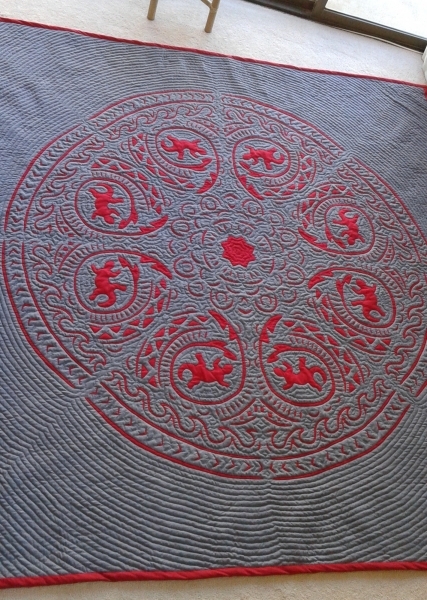 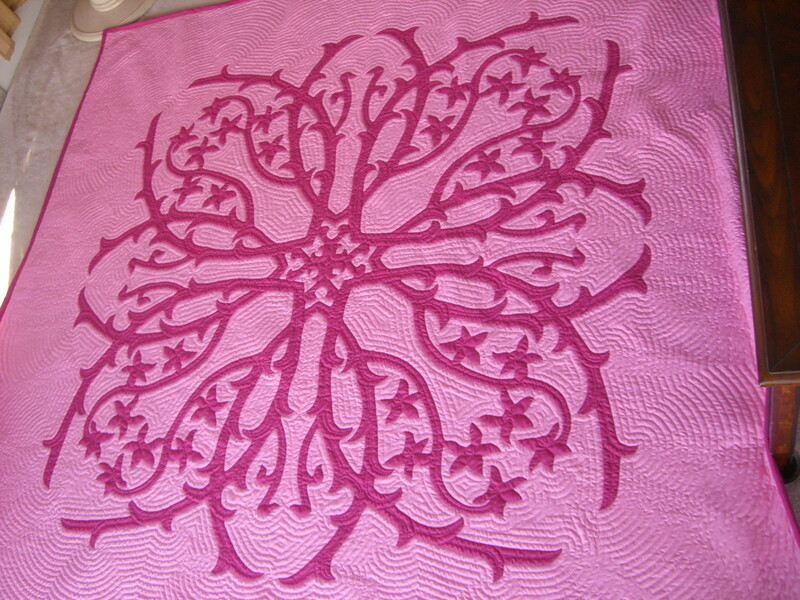 I love the colors on this quilt as well as the symmetrical circular design. 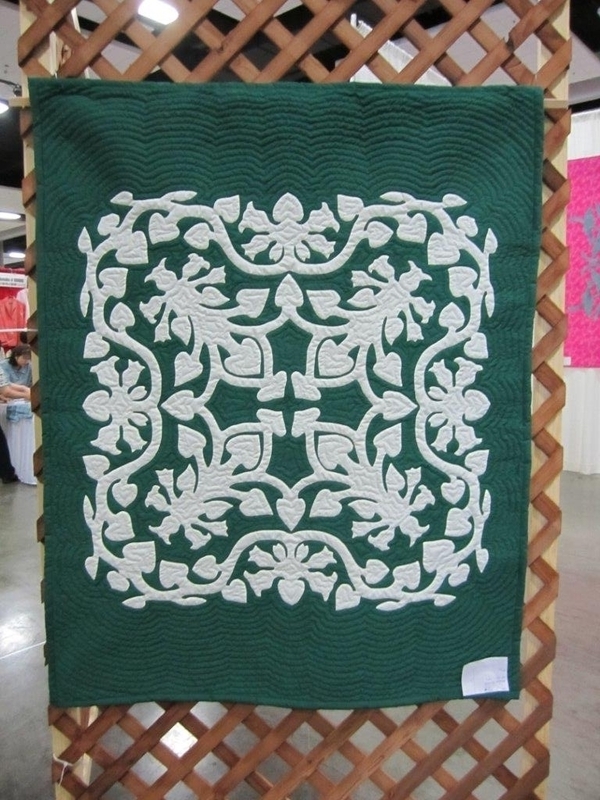 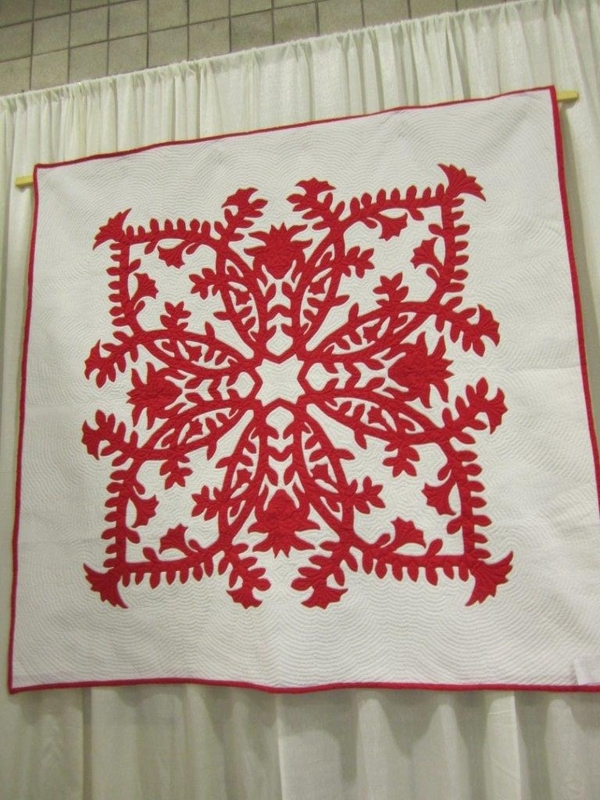 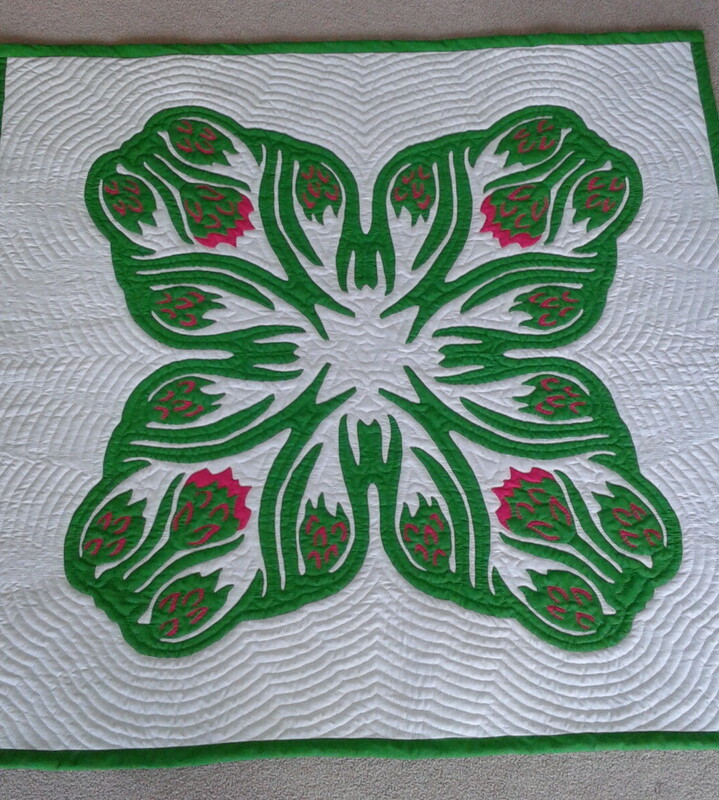 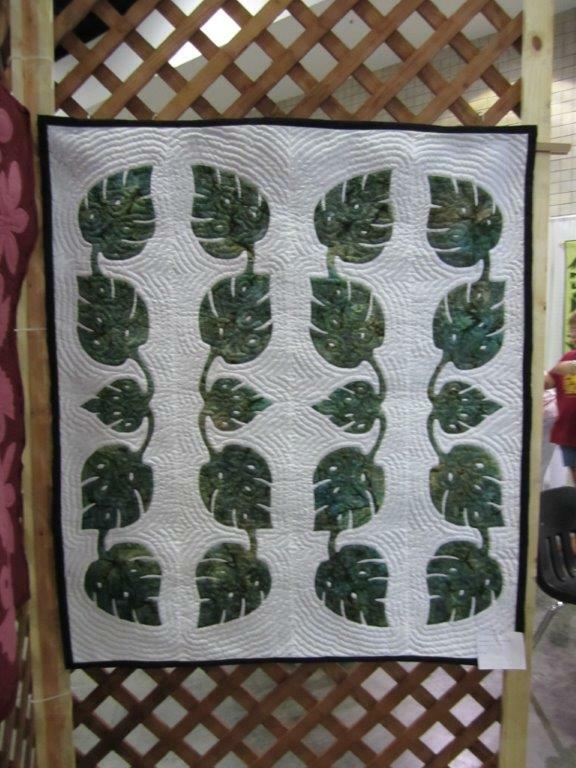 Vintage Carnation Design, Quilted by Kimi Kumagai – One of my favorite designs after I saw it completed. 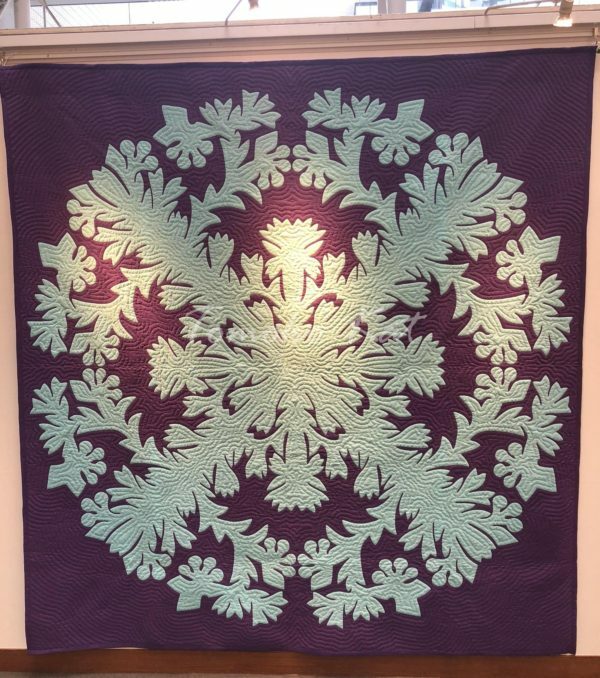 I love how the vases were quilted.